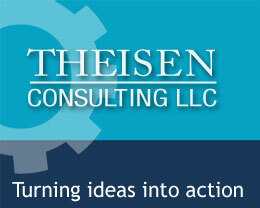 Terri Theisen is the founder and principal consultant of Theisen Consulting LLC. She has more than 30 years of executive leadership and consulting experience in the nonprofit sector. Theisen Consulting is a national management consulting firm providing strategic counsel to nonprofit organizations, grantmaking foundations, coalitions and collaboratives, corporate civic engagement programs, and government agencies throughout the United States. Theisen Consulting has expertise in strategic and tactical planning, group facilitation and decision-making, board development and effectiveness, capitalization of nonprofit organizations, and organizational development. Theisen Consulting provides services in planning, board development, management, governance, executive search, executive coaching, and civic engagement. Practice concentrations include public health, education, human services, arts and culture, and nonprofit management. Prior to founding Theisen Consulting, Terri spent more than twenty years as a nonprofit staff leader. She served as CEO of a regional nonprofit; as vice president of two large national nonprofits where she had responsibility for the field operation of more than 30 affiliates; and as an internal management consultant in a large national nonprofit organization. Throughout her career, she held various staff positions in program management, public policy, senior leadership, and operations. Terri is an active and committed volunteer. She chaired the 2016 Womenâ€™s Leadership Breakfast for United Way of Greater Atlanta and serves on the Global Women's Leadership Council of Women United for United Way Worldwide. She is past chair of the Women's Leadership Council of the United Way of Greater Atlanta and is a past chair of the Women of Tocqueville Society. Terri is a board member, executive committee member, and treasurer of the National Psoriasis Foundation, a $16 million nonprofit organization dedicated to finding a cure for psoriatic diseases. Terri is a board member of Jewish Family & Career Services, a $13 million human service nonprofit in Atlanta, Georgia, and is a board member of the Sandy Springs Foundation. Terri is an active alumna of Leadership Atlanta (class of 2007.) She is past chair of the Board of Hands On Atlanta and currently serves on its Advisory Board. 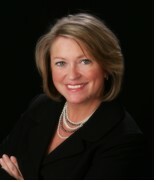 She is a past board member of the Childrenâ€™s Healthcare of Atlanta Foundation; a past board member (and current Advisory Board member) of the Visiting Nurse Health System/Hospice Atlanta; and is a member of many other civic and professional associations, including the American Public Health Association and the American Society of Association Executives. Terri is a 2005 graduate of the Diversity Leadership Academy, is a sought-after speaker and conference session leader including for the BoardSource Leadership Forum, Council on Foundations, Grantmakers in the Arts, the Georgia Society of CPAs, and the Council of Volunteer Administrators. She has been interviewed by numerous industry publications focused on the nonprofit sector. Terri is the author of two books: Nonprofit Business Plan Development: From Vision, Mission, and Values to Implementation, and Succession Planning for Nonprofit Leadership: Steps to Ensuring Your Organizationâ€™s Future,as well as numerous articles related to nonprofit management and effectiveness.